Machu Picchu Tour Save 15%! For a limited time! The 'Economic' tour to Machu Picchu lasts approximately 16 hours. It includes entrance to Machu Picchu, complete transportation (by minivan, train and bus), pick up from the hotel and tour guide service. The tourist should only enjoy his trip to the Wonder of the World. The payment is very easy: you only have to enter the data of your Visa or MasterCard. There are discounts for children, university students and tourists from Peru, Colombia, Ecuador or Bolivia. Includes entrance ticket to Machu Picchu. Includes travel by train and bus. The tour includes everything you need to get to know Machu Picchu: it begins with a pick up from your hotel door, then a minivan trip to Ollantaytambo to board the train that will take you to Aguas Calientes. In this town you will take the bus that will take you to Machu Picchu. You will tour the Inca City in the company of a tour guide. After enjoying the Wonder of the World, you will return to Cusco in the same way: by bus, train and minivan. We'll pick you up from the hotel! At the scheduled time, a comfortable and spacious minivan will pick you up from your hotel door. Thus we will begin our adventure to Machu Picchu. The transportation service (by minivan) will take you from the city of Cusco to Ollantaytambo station in the Sacred Valley of the Incas. On the way back, the transport will return you from Ollantaytambo to the city of Cusco. The train service 'Expedition' is a comfortable tourist service with on board service ideal to appreciate the landscapes of the Sacred Valley. This train will take you from Ollantaytambo to Aguas Calientes and vice versa. The buses that will take you from Aguas Calientes to the Machu Picchu gate are comfortable, safe and ecological. An assistant will be waiting for you in Aguas Calientes to transfer you to the bus station. The tour includes the entrance ticket to Machu Picchu. 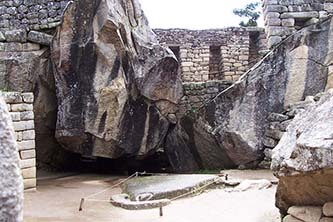 The ticket includes your visit to the famous Inca constructions such as: the Temple of the Sun, Intihuatana, the Temple of the Condor, the Temple of the 3 Windows, the Main Square and many more. In Machu Picchu you will tour the Inca City in the company of an official tourist guide. The guide will explain the mysteries surrounding each Inca construction and make your visit enjoyable. The guide service is in English or Spanish. The trip to Machu Picchu has personalized assistance before, during and after the service. It also offers the best discounts, cancellation option and other benefits. The tour is organized by an authorized agency with years of experience in the tourism sector. We are Machu Picchu Terra, a tourism agency with years of experience in tourism. We have our own premises in Cusco. We are authorized by the Ministry of Culture of Peru with code AUT00115. Our assistants are available at any time to answer your questions about the long-awaited trip to Machu Picchu. Communicate with us at: 084 403077 or write to info@boletomachupicchu.com. In case of any problem before the trip to Machu Picchu, you can request the cancellation of the All Included Service. You should only request it at least 15 days before by sending an email to: info@boletomachupicchu.com. Remember that children from 2 to 10 years old and university students get a special discount as well as citizens from Peru, Colombia, Ecuador and Bolivia. The buffet lunch has an additional cost. 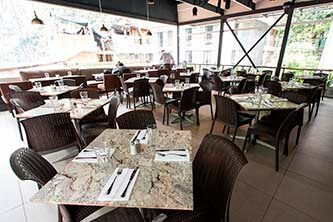 It takes place in Aguas Calientes, in the restaurant El Mapi of the prestigious chain of hotels Inkaterra. It includes snacks, fruits, salads and dishes prepared with Peruvian products. Machu Picchu is located in the eastern Andes of Peru. It belongs to the department of Cusco. From this city it takes approximately 3 hours and 30 minutes to get there by land transport (74 kilometers away). University students, children from 2 to 10 years old; and the citizens of Peru, Colombia, Ecuador and Bolivia have access to a special discount in the All Included Service. To do this, you must only make the reservation of the tour by sending an email with the digital image of your university card or passport. Children from 2 to 10 years old have access to a special discount. To do this they must send the digital image of the identity document or passport that certifies their age. The entrance to Machu Picchu is in the company of his father or mother. University students under the age of 25 also have access to a special discount. For this they must send a digital image of their updated university card. They must also send the digital image of their passport or identity document. People from Colombia, Ecuador or Bolivia benefit from a special discount on the tour. They only have to send a digital copy of the passport, identity document or immigration card. Children or university students from these countries have a higher discount. Peruvians also have a special discount on the tour price. To do this they must send a copy or digital image of the identity document. If the visitor is a child or university student, the discount is even higher. Know the cheapest prices to visit Machu Picchu in 1 day. In addition, with discounts for children, university students and citizens of the Andean Community; you can get to know the Inca City without spending too much. The tour includes everything! BOOK NOW AND ENSURE YOUR PLACE IN MACHU PICCHU! 3.30 a.m. - 5.30 a.m.
Start your 1 day Machu Picchu adventure from very early. We will pick you up from the hotel's door in Cusco to travel on our shared transport to Ollantaytambo station. 6.10 a.m. - 7.40 a.m.
We will cross the landscapes of the Sacred Valley of the Incas in the comfortable seats of the 'Expedition' train until we reach the famous town of Aguas Calientes, also known as Machu Picchu town. Then, our assistant will drive you to the ecological bus station heading to the entrance gate to Machu Picchu. In the Inca City our professional guide will make you know Machu Picchu with enough time to take pictures and tour the Inca City on your own. 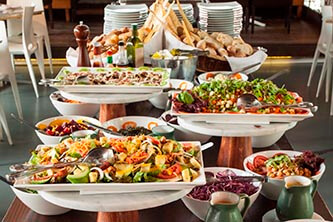 In Aguas Calientes, tourists who booked it, will have enough time to enjoy a delicious buffet lunch (optional) at the El Mapi restaurant . Those that do not, may do it on their own. With the remaining time, tourists will be able to walk or shop in the village. 4.22 p.m. - 8.30 p.m.
At the scheduled time, we will return to the Ollantaytambo station on the 'Expedition' train. From there we will return to the city of Cusco in our shared minivan. The service ends a few meters from the Plaza de Armas of Cusco. In 2018, Peru was chosen as the best culinary destination in the world. 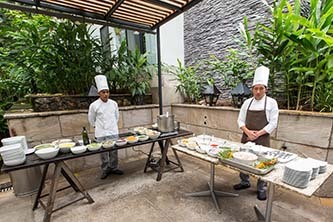 With that in mind, All Inclusive Service offers you the option of a buffet lunch at Inkaterra's El Mapi restaurant, which includes delicious Peruvian dishes. The spacious restaurant has several well-equipped tables. The restaurant is located in the heart of the town of Aguas Calientes. It is open from 12 p.m. to 4 p.m. The buffet lunch is made with high quality Peruvian products. In addition, nutritious, light and vegetarian dishes are offered. El Mapi restaurant is a few steps from the bus station to Machu Picchu. The place is wide and clean. 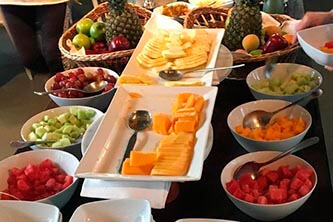 The buffet lunch includes a variety of fruits, salads and snacks as well as refreshing drinks made with natural products from Peru. The staff of the El Mapi restaurant is trained to provide good service before visiting the Inca City of Machu Picchu. Buffet lunch is an optional service. The cost is 16 US dollars. More and more tourists prefer the buffet lunch for the quality of the service. Due to the high demand, this service must be booked at least 2 weeks in advance. How far in advance should the tour be booked? It is recommended to book the tour 3 or more days in advance. Between April and October (high tourist season) you must book weeks before. That way you can find availability of the Machu Picchu entrance. Payment is made with a Visa or MasterCard credit or debit card. It can also be done through PayPal. Yes. You can request the return of the value of the tour by email. The request must be submitted in advance. Check our terms and conditions. Can I change the date of the purchased tour? Yes. To make the date change you must send an email. The request must be sent several days in advance. Check our terms and conditions. How to book the tour with a guide in another language? The 'Economic' service includes a shared guide in English or Spanish. Through an email you can request a guide in Portuguese or French with a 'Private' service paying the additional cost. The service must be reserved at least 1 month before. The Inca City of Machu Picchu offers you several precincts of great mystery and history. The remoteness and nature has preserved well its main temples and Inca structures such as: the Temple of the Condor, the Temple of the Sun, the Temple of the 3 Windows, the Main Temple and many more. One of the most famous buildings in Machu Picchu. 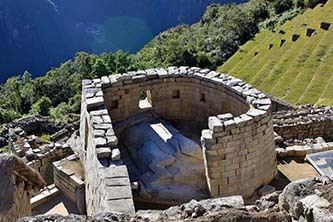 Its architecture has the figure of the Andean condor, one of the sacred birds according to the Incas. One of the most sacred enclosures by the Incas in Machu Picchu. This place was dedicated to the sun, the most important god of the Incas. 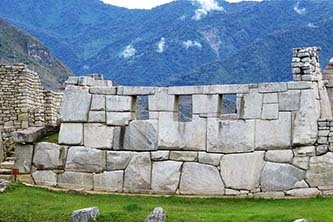 This popular construction is in the Main Square of Machu Picchu. The 3 windows would summarize the Inca worldview: the condor, the puma and the serpent. 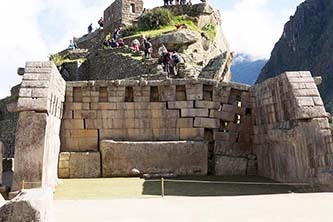 This mysterious structure is in the heart of Machu Picchu. It is believed that the Incas carried out religious ceremonies and even human sacrifices. Machu Picchu includes more tourist attractions such as the Sacred Plaza, the Royal Residence, the Intihuatana, the Sacred Rock, the Water Mirrors, the Cárceles, the Quarries, the Fountains, the Temple of the Dead, the Platforms and more. HOW IS CLIMATE IN MACHU PICCHU? Machu Picchu has a subtropical climate. The rainy season runs between November and March. The dry season, from April to October. Although every day is good to know the Wonder of the World, this last season is the best. What to take to the trip to Machu Picchu? Machu Picchu has a variable climate so you should bring a rain poncho as well as a hat, sunscreen, sunglasses, mosquito repellent, water, a camera and some extra money.